Selle Design Group just put out another edition of Alpaca Culture magazine and this one was bit special to us. The stories combined with the imagery really came out nice and presents a very picturesque view of Peru and the alpaca industry as it exists there. We visited the largest alpaca fiber-producing companies and toured their facilities. We also were escorted through many parts of the country where we saw native people working with alpaca fiber and producing some of the most luxurious garments we have ever seen. Later in the trip we were able to attend a full on fashion show that feature some of the more prominent designers that are working with alpaca. Set in the courtyard of an old colonial mission it was nothing less than spectacular. After the whole alpaca fiber experience we were able to take some time to ourselves and se more of the country. The highlight was Cusco, the old Incan capital and the surrounding sacred valley. Of course the gem on top was our visit to Machu Picchu. I have seen many pictures of this awesome place place they fail in comparison to being there. 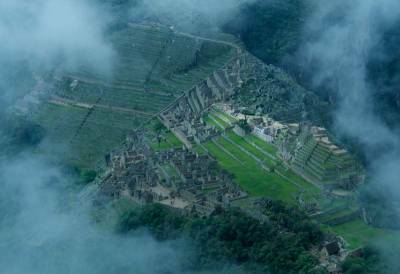 We stayed for two days and on the second day climbed the mountain behind the ancient city called Huayna Picchu. Very steep and the way down was a nail biter. But the struggle and views that followed were worth it – aren’t they always! Rebranding your company: Do I just need a new website? 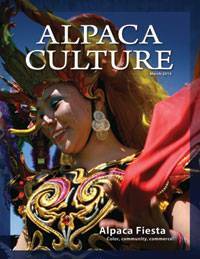 Alpaca Culture Magazine Celebrates its 5th Birthday!